eNeura doesn’t just fill an order. The doctor and the patient are fully supported. 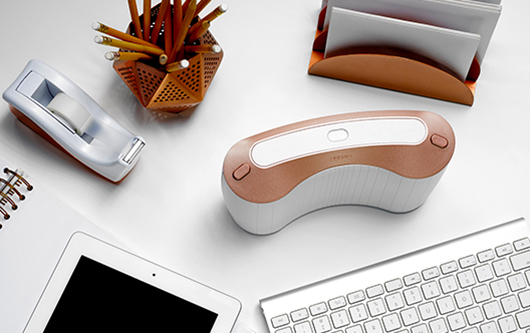 From the time you prescribe the eNeura device, and for as long as treatment lasts, your patients will receive comprehensive personal support from a staff of experts. eNeura cuts through red tape and saves time for your patients and for you. 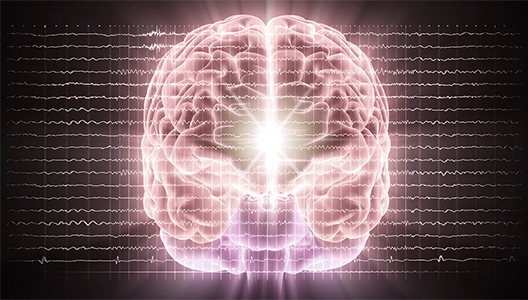 Clinical Education Specialists will call your patients to help with their initial administrations of treatment, encourage ongoing use of the sTMS mini Online Migraine Diary, and field phone calls throughout their course of treatment with the sTMS mini. They will also provide you with monthly reports on your patients’ treatment progress. Access Consultants relieve your own staff of paperwork and bureaucracy. They conduct a benefits review on behalf of patients who choose to use their service; review payment options, including the possibility of insurance coverage, health savings accounts, flexible spending accounts, and Care Credit; and they assist in obtaining reimbursement when available. 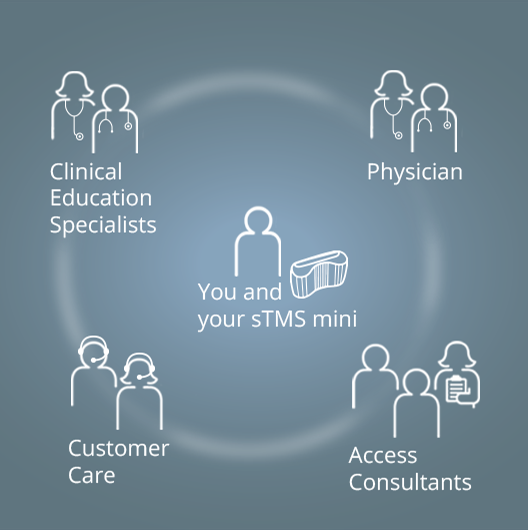 Customer Care can help patients manage any issues concerning device delivery, prescription renewals, traveling with the sTMS mini and other practical issues. This helps you keep your time with patients focused on their health. Your patients’ gain is your gain, too. It helps to know that the Clinical Education Specialists will call the patient right away so that they get off to a strong start.